So it’s Columbus Day here in the United States, a federal holiday that means the banks are closed and the mail won’t be delivered. Some online sources say it was first made a federal holiday by Franklin Delano Roosevelt by presidential proclamation in 1937.3 Others say it was by FDR and by presidential proclamation, but it was in 1934.4 None of ’em cite their sources. So… when did Columbus Day first become a federal holiday? And yeah… cite your sources. Image: Christopher Columbus, photograph of a painting, c1908, Detroit Publishing Company, Library of Congress Prints & Photographs Division. 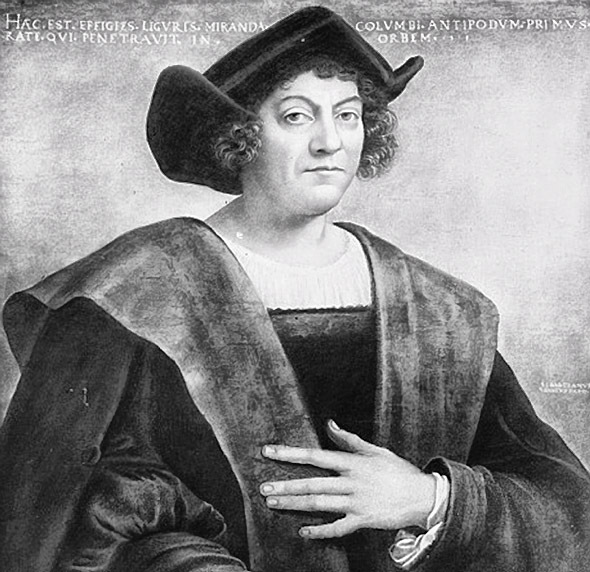 The first National Columbus Day was instituted by President Franklin D. Roosevelt by proclamation on 18 September 1937; however, the 73rd Congress approved a public resolution allowing the President to issue the proclamation on 30 April 1934. If the question is based on “an official federal holiday,” then I disagree that a Presidential Proclamation is enough. My answer is 1968. Sounds like we may need to address the question of defining terms! Does cite 1934 as original. That is the Italian American Congressional delegation behind Carter. They certainly did, but we need to track down the source of the source. OK Here you go. With sources. Whew! I “wasted” an hour on this, Judy. Thank you. See Sarasota The Herald Tribune, Saturday, June 29, 1968 page 9. Note: As enacted, the bill (H.R. 15951) is Public Law 90-363 (82 Stat. 250).